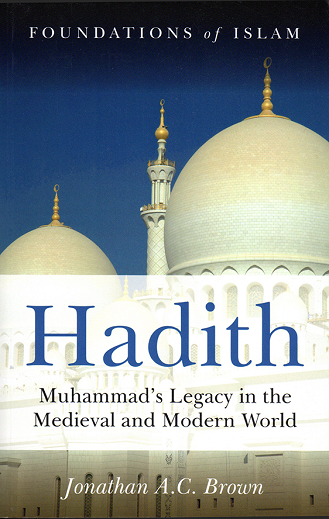 Tahir Mahmoud reviews two books about the hadith: Misquoting Muhammad (Oneworld Publications, London, UK, 2015; 362 pp., Pbk: $16.99), and Hadith: Muhammad’s Legacy in the Medieval and Modern World (Oneworld Publications, Oxford, UK, 2009; 308 pp., Pbk: $29.95). If Muslims want to learn how hadith literature has been distorted, these two books will help them in this quest. If you are a Muslim with a busy schedule and have some basic knowledge of Islam but want to increase it, here is what you can do. Read two books that would significantly expand your knowledge about the fundamentals of Islam. 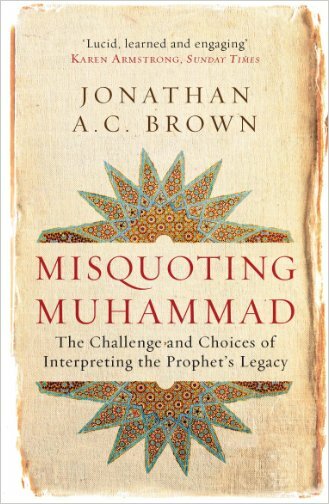 Carefully read Hadith: Muhammad’s Legacy in the Medieval and Modern World, along with Misquoting Muhammad by Dr. Jonathan A.C. Brown and preferably in this order. Even a full review will not do full justice to Dr. Brown’s superbly researched books. Also, the author of this review does not consider himself qualified enough to touch the core subject of the mentioned books, namely, the technicalities and subtleties of the science of Hadith. This is why this review will focus on the key sociopolitical aspects in Dr. Brown’s books and analyze the impact of those facts on Muslims today. 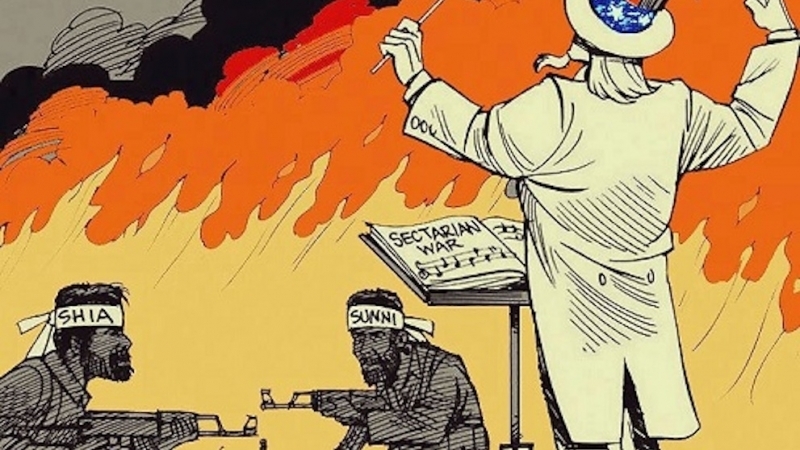 Anyone familiar with the basics of the contemporary socio-political situation in the Muslim East (aka the Middle East), can see the Washington-formulated and Saudi-bankrolled sectarianism as the prime strategy to divide and conquer the resource rich region and stall the process of Islamic revival. Therefore, this review of Dr. Brown’s two books will begin by addressing this crucial point. All religions and ideologies experience factionalism; Islam is no exception to this phenomenon. Nevertheless, the facts presented in Dr. Brown’s books indicate that sectarianism has weak local roots in the Muslim world. …one of the hadith masters of the Shariah; this, even though he was such a staunch Shiite that he occasionally disparaged Abu Bakr and Umar… Not only did Sunnis appreciate Ibn Uqba’s command of hadith transmissions, they also valued his opinions on evaluating transmitter criticism. In fact, the earliest evaluation of al-Bukhari’s and Muslim’s famous Sahihayn comes from Ibn Uqba (p. 142). The above fact should make Muslims realize that Sunnis and Shi‘is had strongly adhered to the principle to agree to disagree in a very respectful manner. Today can Muslims imagine a scholar of any of the main schools of Islamic thought being openly critical of the fundamentals of other schools, and at the same time be highly regarded and praised by the scholars of those schools? Almost impossible to imagine, thanks mainly to external cultivation of sectarianism. For the major part of Islamic history scholarly disagreements were seen as something normal and rarely served as catalysts for conflict or violence. …responding to and rebutting Ismaili Shia arguments thus became a chief priority of Sunni and Imami Shiite [Twelver Shia] scholars alike. In 1011, in fact, the Sunni caliph in Baghdad and the Iranian Shiite military junta that was exercising effective control over Iraq and Iran issued a rare joint manifesto. It was the condemnation of the Fatimid state and Ismailism (p. 175). In Muhammad's Legacy, the author also points to another important fact that the corporate-owned media conveniently chooses to ignore: the Zaydi Muslims in Yemen, whom the media label as Houthis and Shi‘i, in fact share core fundamentals with Sunni schools of Islamic jurisprudence. He writes, “in many ways, Zaydism is a middle ground between Sunni and Imami Shiite Islam” (p. 144) as the Zaydi school of Islam accepts the khilafah of Abu Bakr, ‘Umar, and Uthman (ra), an issue on which the Imami Shi‘i school of thought holds a different view. Both of Dr. Brown’s books present enough solid data to indicate that the violent sectarianism in the Muslim world today is a modern phenomenon that can easily be traced to foreign interference rather than historical and legal differences among Muslims. The establishment of a medical facility necessitates that experts in medical sciences have the final say on how to run that facility. A similar principle applies to the establishment of an Islamic institution, state, or society. If the role of experts in Islamic law is made irrelevant, there will never be a successful Islamic state or society. Just like there will never be a proper medical institution without the executive role of medical experts. This is an issue that the colonialist powers understood when they invaded Muslim lands and something Dr. Brown highlights in his book, Misquoting Muhammad. …articulated by Ahmad ibn Hanbal and others that Muslims should never rebel against their Muslim rulers regardless of their heresies or iniquity, made Sunni Islam eminently acceptable to the rulers of the Muslim empire as well. The combination of popular and state support proved unbeatable (p. 48). some ‘ulama could formulate a formula of legitimizing oppressive rulers. 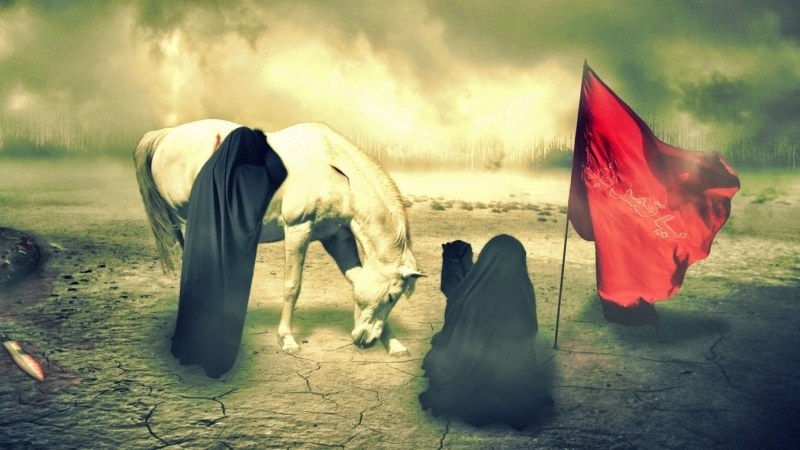 This is clearly not the classical Islamic position, as the principled opposition of Imam Husayn (ra) against Yazid’s tyranny and the rebellion by companion Ibn Zubayr (ra) against ‘Abd al-Malik ibn Marwan’s oppression clearly show. Overall, Dr. Brown does a superb job of explaining how the colonialist powers eliminated the main pillar of exercising Islamic rule in Muslim societies; they destroyed the influence of the main vehicle of Islamic rule, the ‘ulama. This factor puts the contemporary hostile anti-Iranian obsession of many Western governments into proper context. For arrogant ideological reasons they simply cannot tolerate the existence of an Islamic government led by Islamic experts. 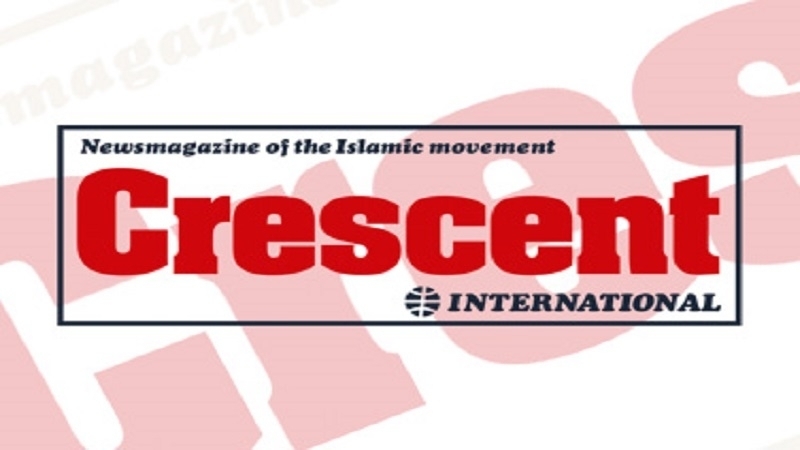 By now most Muslims and non-Muslims have gotten used to the message beamed by NATO member politicians on how “oppressed” Muslim women need to be liberated. Not surprisingly, it appears that this was the narrative peddled by early colonialists as well, and as with their contemporaries, hypocrisy on the matter is their common trait. …the mission to rescue “native” women from their backward cultures was a prominent theme in British portrayals of the empire’s colonial activities… When the British occupied Egypt in 1882, the High Commissioner, Lord Cromer, was eager to trim the country’s budget and recoup Egyptian debt. He defunded many of the modernizing reforms instituted just decades earlier by the ruling dynasty of Mehmet Ali. Cromer, for example, withdrew support for training women doctors and midwives, a flagship of Egypt’s indigenous pre-colonial medical reforms… Cromer professed himself shocked by Islam’s apparently barbaric and unamendable treatment of women (ironically he was the founding member of the Men’s League for Opposing Women’s Suffrage back in England)” (p. 145). Gender relations remains the main soft-power tool of contemporary Western imperialism in the Muslim world and it is probably the most successful social re-engineering leverage of Western regimes. Criticism often unjustly levelled against the works of traditional Islamic scholars by Western academia is that their works and Islamic understanding are mainly influenced by their traditional societies and societal taboos. When reading Dr. Brown’s works it is important to keep in mind a similar notion, but in the opposite direction, and unlike the Western academia, to do so fairly. 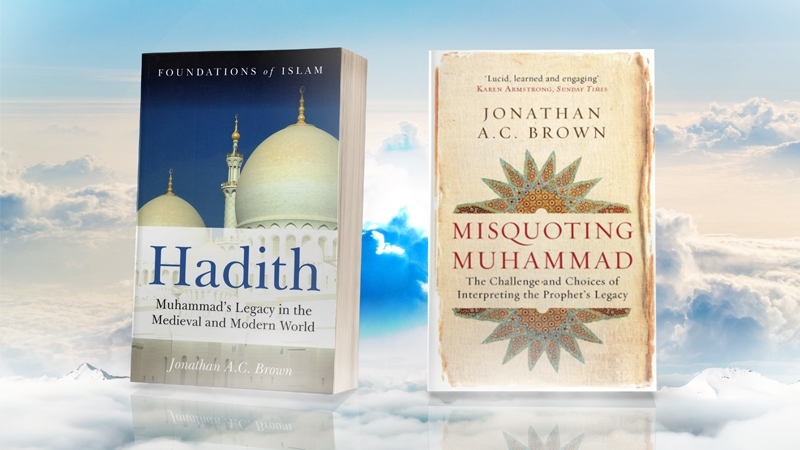 Even though Dr. Brown is a Muslim, he is still a Western academic with some Western secular influences. Dr. Brown does an excellent job in questioning the use of a noble lie and weak hadiths, but for some reason provides simplified responses to questions raised about the two issues. Instead, his main in-depth response is formulated around the fact that Western religious scholars did the same, almost subconsciously using Western scholarship as a benchmark. 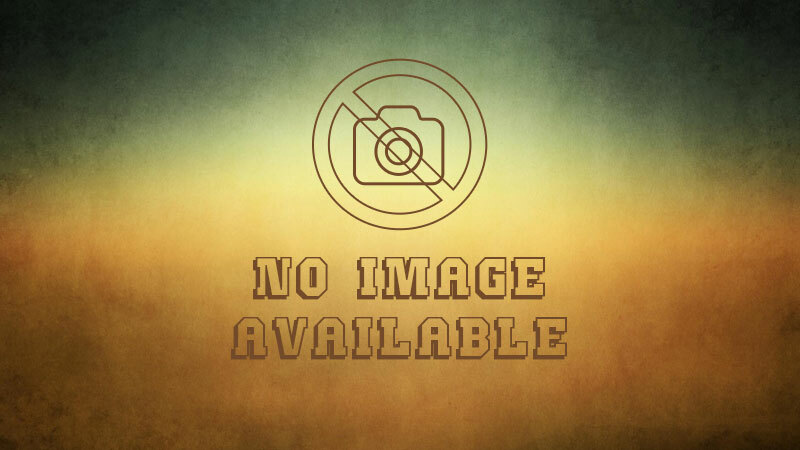 It is understandable why Dr. Brown focused mainly on the Sunni Islamic school of thought in his two books, with only minor discussion of the Shi‘i school. Nevertheless, he could have explored Shi‘i responses to “tricky” issues as well and thus broaden the depth of his work, as the Shi‘i responses might have complemented the Sunni responses and thus given a more complete picture of issues discussed. Today, dedicated Sunni and Shi‘i Islamic scholars must see the Sunni and Shi‘i scholarly realms as complements of one another, in metaphorical terms, as two wings of the same bird, both wings must be looked at in order to properly see the bird. This methodology would contribute to eliminating bigotry and foster proximity of schools. Another important aspect to keep in mind when reading works of Western educated scholars on Islam, be they Muslim or not, is to remember that Orientalism had a major impact on Western academia’s understanding of Islam. Orientalism defines societies and individuals as developed and civilized if they conform to Western norms, desires, and values. Not surprisingly, one can often spot in Western academic works that well-known Islamic personalities like Rumi and Ibn Sina were promiscuous characters and lovers of alcohol. Today, often one cannot avoid being labelled a weirdo if he/she does not go out for a glass of wine with colleagues after work or refuses to participate in the boyfriend/girlfriend culture. It seems as if Western scholarship made a decision long ago that one cannot be a towering personality without having some traces of Westernization and passed some questionable judgments that even Muslim scholars take at face value. In Misquoting Muhammad, Dr. Brown repeats the claim often projected by orientalists that Ibn Sina upheld the Shari‘ah ban on wine for the masses, but claimed that he (Ibn Sina) as a philosopher could enjoy it (p. 77). If this indeed was the case, few would have taken Ibn Sina’s religious works seriously in his own time or even afterward, as the attitude attributed to him would immediately qualify him as a munafiq or at the very least a fasiq. Most people, when they commits sins, try to conceal them. Why, then, would Ibn Sina be so open about his “love” for alcohol and according to some Westerners’ allegations, for brothels as well? Ibn Sina was under attack by many of his contemporaries for his unique Islamic reasoning, why would he give them additional ammunition to further discredit him by sinning so openly? Also, Ibn Sina had turbulent political relationships with the Buyid dynasty ruling Iran, who were one of his patrons. The Buyids were in a precarious political situation; why would they and others risk association with a person with such allegedly open heretical positions and thus jeopardize their reign? Ascribing alcoholism and promiscuity to towering Islamic personalities is a common feature of Western academia; it seems that Western academics, steeped in prejudice, refuse to read the words of love and drunkenness written by spiritual Islamic personalities in a metaphorical sense as this would de-Westernize towering Muslim scholars. Both of Dr. Brown’s books will be a rude awakening for many Saudi minded and ritualistic Muslims. The books might also be turned into a “weapon” by shallow secularists and dogmatic atheists who will eagerly cherry pick information from both texts in order to “prove” the incoherence of religion. Overall, both books are very sober studies of not just Islam, but religion as a whole. They are a must read for those seeking to broaden their horizons, but it might confuse those with simplistic understanding of Islam, as both books are very sobering and not a beginner’s forte or hobby material.